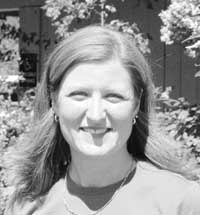 After more than a month on administrative leave, Sun Valley City Administrator Sharon Hammer is back on active-duty status. Mayor Wayne Willich placed Hammer on leave Nov. 18. He has repeatedly declined to state the reason for the leave, other than to say it was not a disciplinary action. In an email that Willich sent to Hammer on Dec. 23—provided to the Idaho Mountain Express by Hammer's attorney, Jim Donoval—Willich requested she return from leave Dec. 27. "You will assume your normal duties as City Administrator, paid-on-call firefighter and EMT roles," the email states. On Tuesday, Sun Valley Fire Chief Jeff Carnes said he has been placed on paid administrative leave, effective Dec. 20. He said he doesn't know why he was placed on leave but declined further comment. Willich did not return phone calls by press time Tuesday seeking comment on staff leaves, including who is and was on leave, and why. The city hired outside legal counsel last month to conduct an internal investigation. Willich has previously declined to comment on the nature of that investigation. Hammer filed a lawsuit against the city of Sun Valley under the Idaho Protection of Public Employees Act, saying the city failed to protect her from what she said was harassment and other inappropriate behavior by Councilman Nils Ribi. She also named Ribi as a defendant, along with City Councilman Bob Youngman and City Attorney Adam King. Hammer alleges Ribi repeatedly harassed her over the course of several years. She claims that after she complained to the mayor about his actions, Ribi set out to retaliate against her. She also alleges collusion among Ribi, Youngman and King in trying to have her removed from her job and contends they used illegally obtained personnel information to support their efforts. Ribi has denied all allegations, calling them "baseless and defamatory." A hearing set for Jan. 11 requested by Donoval to have Hammer reinstated to active-duty status was vacated last week. Donoval said Tuesday that he is working with the city to resolve the matter. Sun Valley hired Boise firm Naylor & Hales to represent it in the suit. Attorney Kirtlan Naylor declined Tuesday to comment on whether he was in discussions with Donoval.